April 16, 2019, 11:29 AM · In an effort to promote the coverage of live violin performance, Violinist.com each week presents links to reviews of notable concerts and recitals around the world. 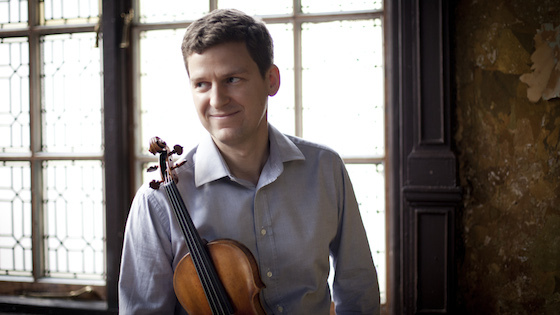 James Ehnes performed the Walton Violin Concerto with the BBC Philharmonic. theartsdesk.com: "(The Walton is) incredibly difficult (written for Heifetz), but Ehnes is a player who makes such challenges seem easy. There was lovely sweetness in the brief quasi-cadenza of the first movement, echoed time and again in what followed. His intonation is impeccable and his tone sheer joy to listen to in this fastidious soundworld." Itzhak Perlman performed music from films with the Philadelphia Orchestra. The Inquirer: "... he puts across a terrific presence — not just volume, but often a saturation that goes full force to the end of the phrase. And then there’s that silvery tone, which, after all, doesn’t come along often." Inmo Yang performed Prokofiev’s Second Violin Concerto with the Boston Philharmonic Youth Orchestra. The Boston Musical Intelligencer: "Here his technique and artistic maturity were evident from the outset....Yang fashioned a long line from his opening solo, his tone both bright and warm, and Zander made the ostinatos ominous." Joshua Bell performed the Bruch Violin Concerto No 1 with the San Diego Symphony. The San Diego Union-Tribune: "Expectations ran high, and Bell did not disappoint. His magisterial tone confidently rang out, a golden honeyed timbre that captivated. There was an almost uncanny ease to his playing. With minimum effort, he spun out gossamer lines." Chamber Music Society of Lincoln Center performed a recital in Amsterdam. Violinist.com: "The CMS artists’ exuberant music making never came at the cost of sensitivity and impeccable turns of phrase and every tempo change was wrought with care"
San Francisco Classical Voice: "If Kopatchinskaja’s performance style was affectation designed for effect it would qualify as extraneous gimmickry. It is not. All of that playful body language — the energetic head bobbing to the music, the deliberate “come on, let’s go” eye contact with the other players, her foot stomping, is all part of her interpretation and expression." Sandy Cameron performed Danny Elfman's violin concerto "Eleven Eleven" with the Royal Scottish National Orchestra on tour in America. The Herald Scotland: "Although (Elfman's concerto) makes its most immediate connection with the audience through the charismatic Ms. Cameron, it is a piece that the orchestra has come to love, and which the players and conductor Thomas Sondergard performed with the same panache they brought to Prokofiev’s Fifth Symphony wherever they played it."